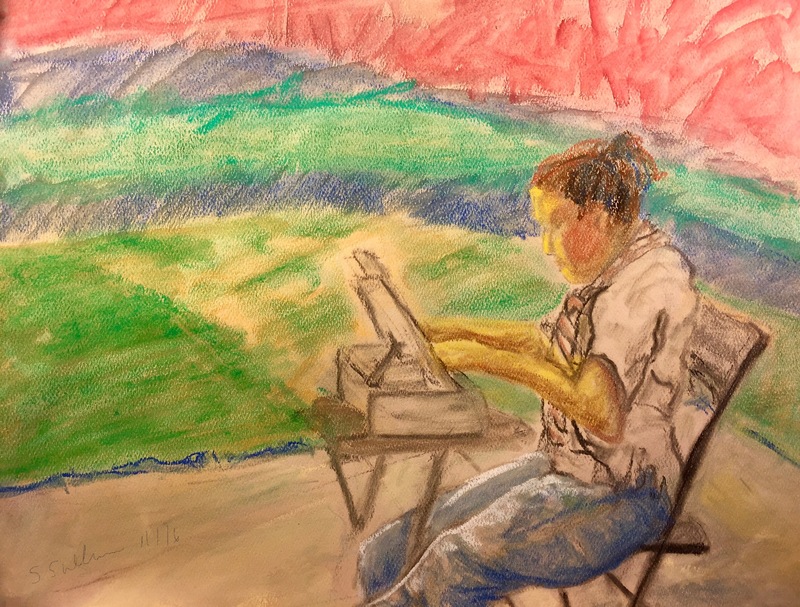 I went with a large group of Urban Sketchers to the Bernardo Winery this morning and sketched a nearby artist who was also working with pastels. I liked her intense focus on her work and the way her face and skin caught the light. I am going to use this sketch as a basis for a similar sketch tomorrow so I can make some changes to the background and figure. This entry was posted in Body Language, Story Creation and tagged Landscape, San Diego. Bookmark the permalink.